Google Maps: Updated with new look and features | ASTRALCOM - Content Strategy, Conversion Marketing and Customer Acquisition. Google has once again rolled out an updated new look, taking users somewhat by surprise with the new Google Maps. The company has made what it feels are improvements to its navigation app by adding new visual aids that will enhance the user experience. With added icons and an updated color scheme, users can more easily identify areas of interest. For example, it will be easier to identify places like a cafe, church, hospital or museum. This will be possible because these places will now have unique designated colors and icons. Another feature of the updated platform is that when driving, the nearest gas stations will appear more prominently. When using public transportation, bus stops and train stations will be shown in a more easily recognizable manner in this updated version of Google Maps. The new upgrade to Google Maps has grouped all similar places under a common icon and color scheme. The new color palette is used to help identify structures, landmarks, streets and natural places such as forests and rivers. Businesses that provide similar services such as serving food and drinks will be identified by an orange-colored icon, while healthcare facilities will appear in red, and a blue icon identifies shopping venues. A dark green icon denotes outdoor spaces, along with many more unique designations according to color. These updates should be quite useful, considering that the previous look presented nearly all businesses in the same blue color. 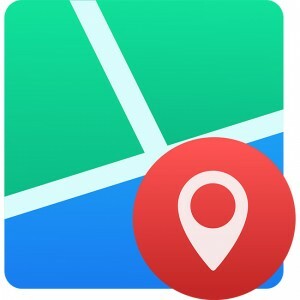 Google has indicated to their users that these changes will be rolled out for apps that make use of Google Maps APIs. The new Google Maps app has gone beyond search and now users will be able to access more browsable information. The new interface will allow one to look at different categories of POIs (Points of interest). Users will now be able to browse and find information more easily on where to shop, eat or drink, and so on. In some cases, information will be accessible for specific stores inside a mall. ASTRALCOM is an industry leader in developing strategies to maximize your company’s presence in local search results. No matter if a user searches from a mobile device, car GPS, tablet or desktop, we can help you to get in front of your local prospective customers more often. As new features and interfaces are developed and implemented by Google, ASTRALCOM is always on the cutting edge, steps ahead of all the rest to make the best use of the latest technology to drive more traffic for your business. Check out our local search page for more on how we can help you create a more effective local online presence for your business.